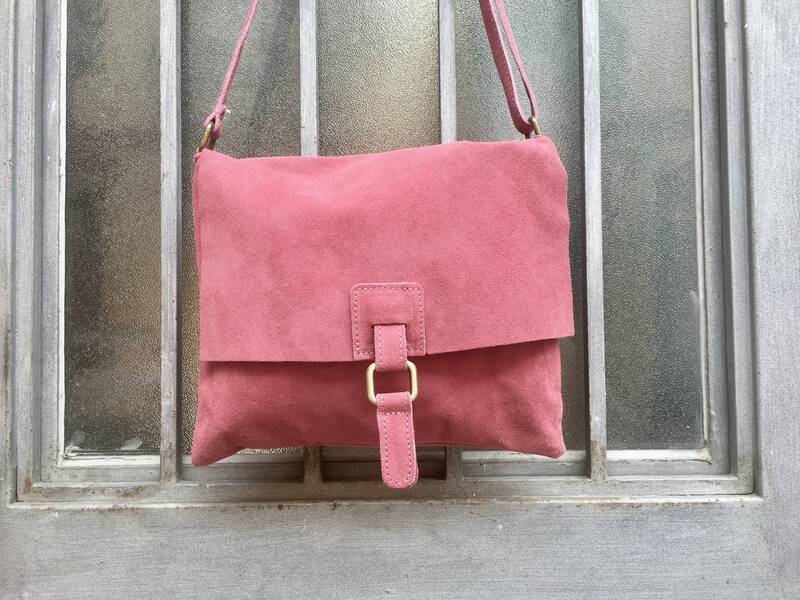 Bohemian leather bag in PUNCH PINK. 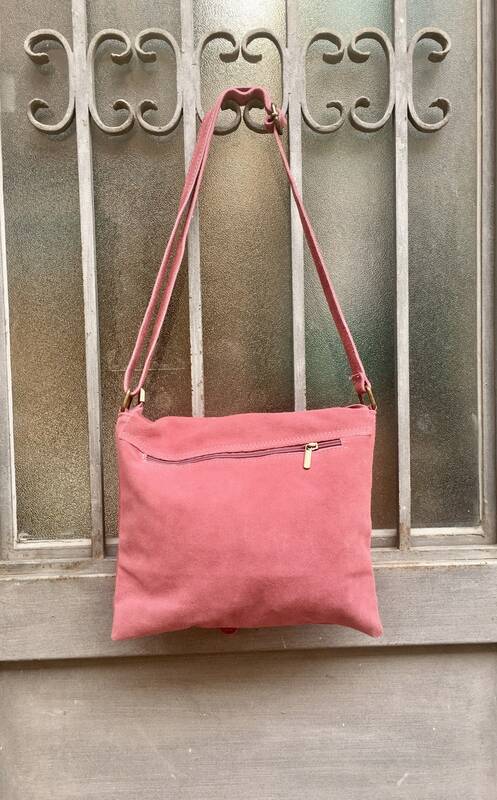 Genuine suede leather. 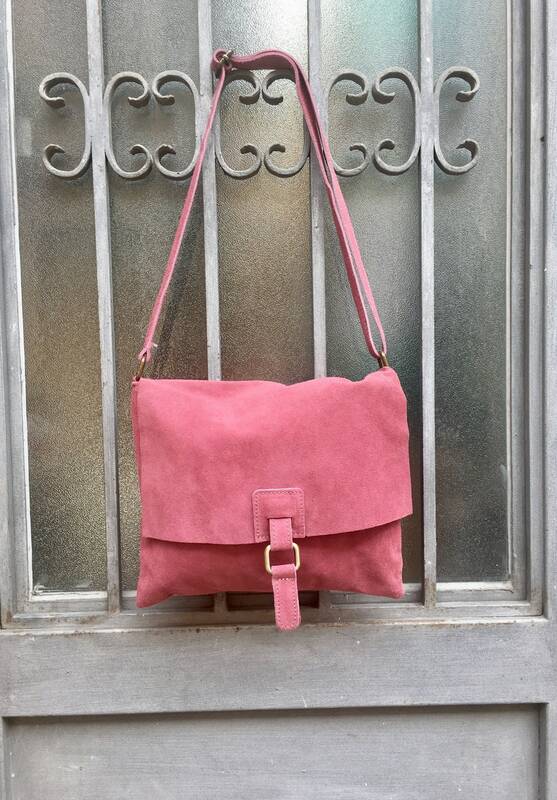 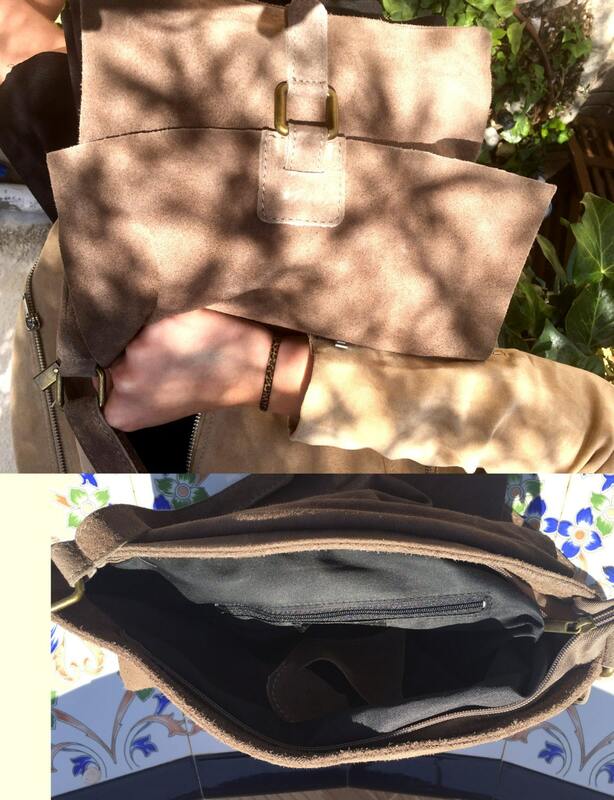 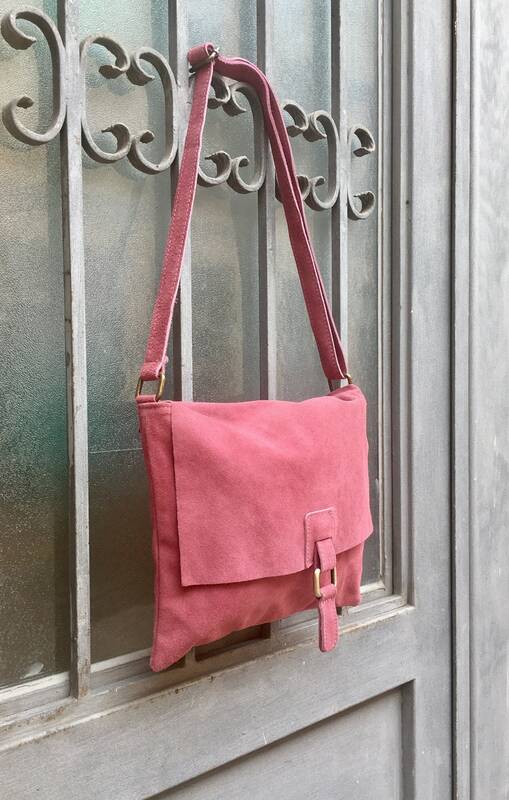 Darkish PINK soft suede leather cross body or shoulder bag.